Green features dominate inside and out in this renovated school, including rain water cisterns for the garden and green roof, and high efficiency building systems. 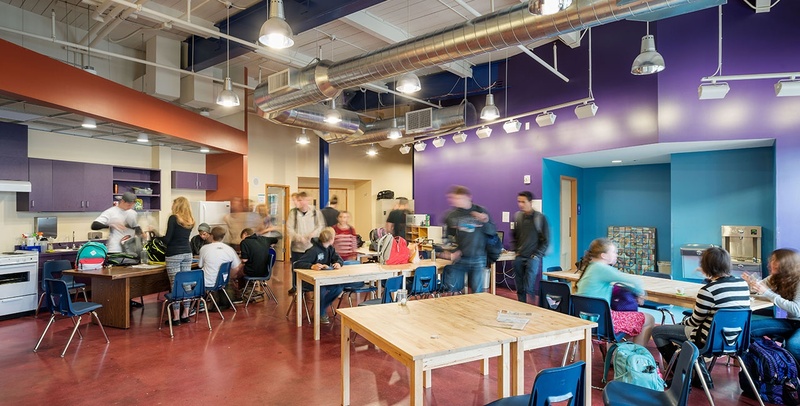 Before Waldorf High School could relocate to its new home — an existing building located in Shoreline’s Magnusson Park — significant renovations to the structure's shell were needed to bring the building up to code. The new high school now has space for labs, an art room, offices, as well as eurhythmy, a therapeutic performance art used in Waldorf institutions. The facility also includes a new kitchen, restrooms, and renovated administration offices. A playground, an outdoor gathering space for parents and entry courtyards were also added to the site.